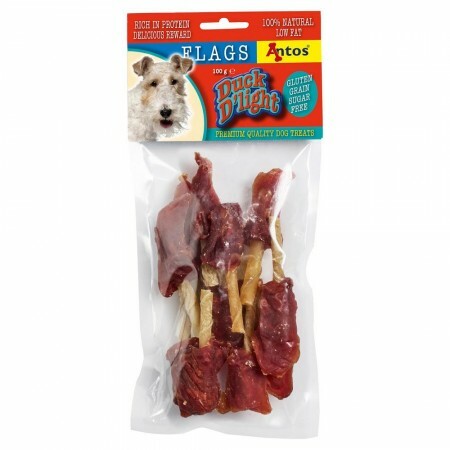 Our all-natural Duck D’light treats provide all the benefits of duck fillets in the safest and healthiest way. High in protein and bursting in flavour. 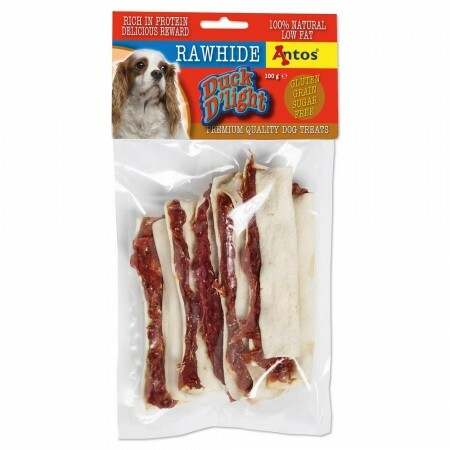 The products are made from high-quality duck meat which dog will love. Prepared with minimum ingredients the treats are all 100% natural and gluten-free. 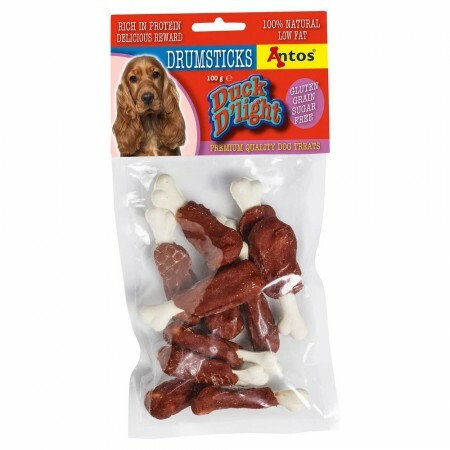 These great tasting, high-protein jerky treats are made from real duck that satisfies and nourishes in every bite. They are deliciously wholesome snacks with a natural duck flavour. 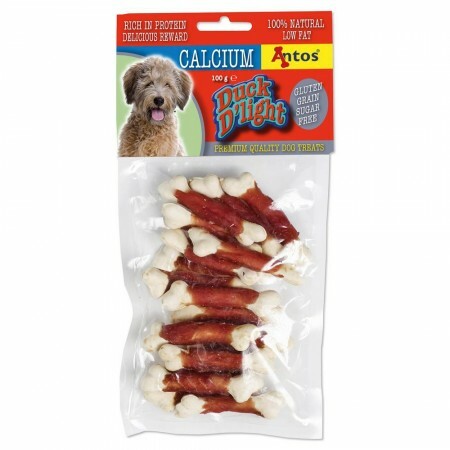 Treat your dog to premium-quality treats, made with the finest ingredients. 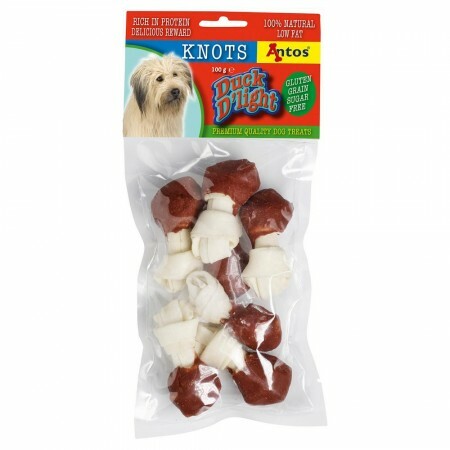 The DuckD’light Knots are made from real rawhide with wrapped duck meat. 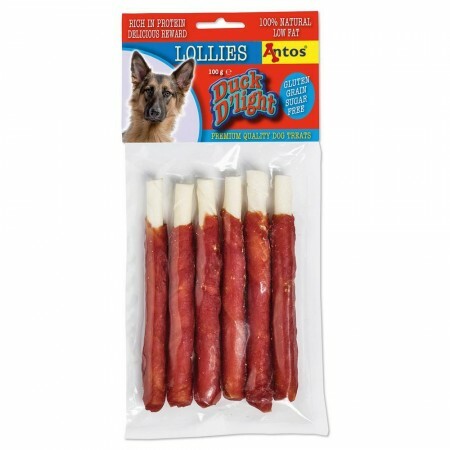 Show dogs the love of these healthy and tasty treats. All the treats has no artificial flavours or colourings.